birthday and he wanted to go to Galileo Restaurant, which has since closed. DC is very quiet in the summer. All the judicial and legislative bodies are recessed and the normal chaos of business is missing. Just us tourists. When we arrived at the restaurant, it was very quiet, we were, however, eating on the early side because my husband is an up and at ’em early morning guy, even on vacation. The rest of us are NOT! We were seated at a table in a back room, near the kitchen. As we perused the menu, my husband asked what each of us wanted to do while were in DC. He’s a huge museum fan and DC is filled with them. BTW, I’m a fan, but I go through rather quickly, he pauses, reads and studies; needless to say we don’t do much together in museums. Having said that, my only priority was going to the American Museum of Natural History at the Smithsonian Institute. 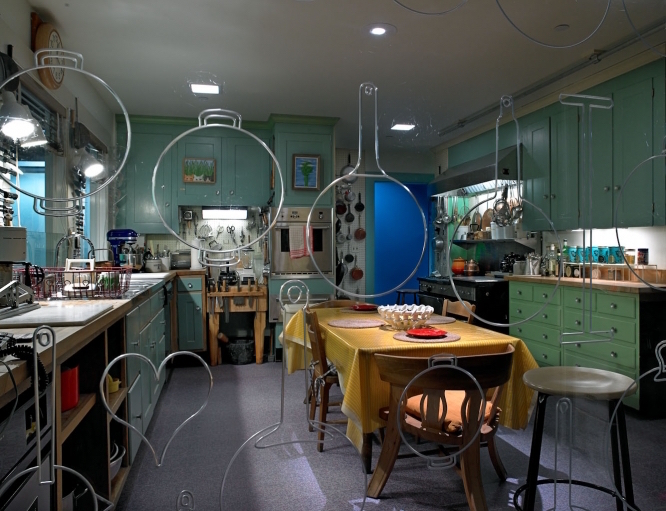 Julia Child’s kitchen from Massachusetts, completely intact, had been installed that very weekend and I wanted to see it. After expressing my wish, my youngest daughter Margot asked, “Who is Julia Child?” I proceeded to explain her story; how she revolutionized the culinary palette in this country with her first book Mastering the Art of French Cooking and continued doing so for decades influencing both home and professional cooks. She was later seated a couple of tables away from us. I gave the waiter my business card from NYU (Department of Nutrition, Food Studies and Public Health) and asked if we could speak with her. She graciously agreed. 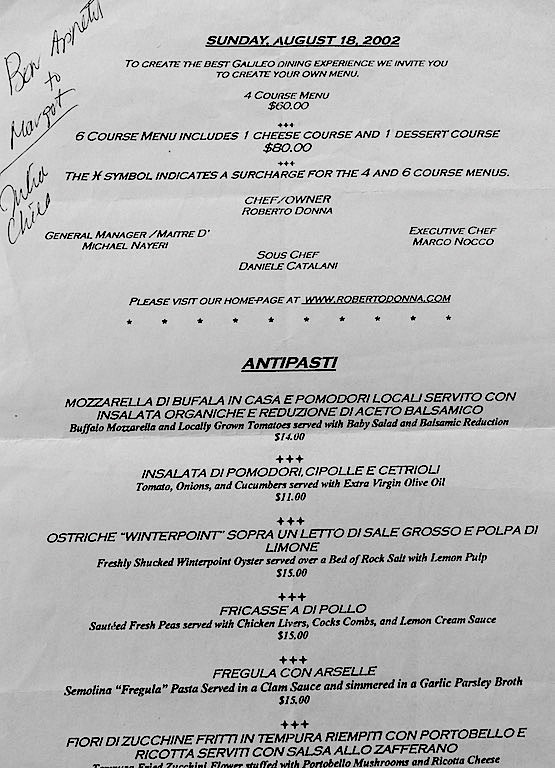 She was more interested in Margot and signed a menu for her, which I still have (yeah, the kid got ripped off). She was charming and animated, even after such a long day at the museum. Her stamina at the age of 89 still amazes me. This is one of life’s little coincidences that you can’t expect or predict. The timing was perfect and created a wonderful memory for our family.